An official press render of the Samsung Galaxy Note8, has been outed by proven leakster, evleaks, ahead of the official launch scheduled for later this month. 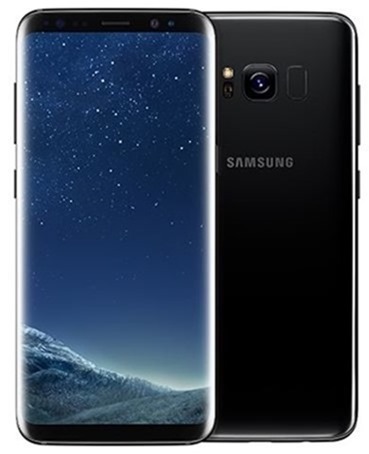 The design has, how do I put it, a more rectangular design than the S8. Here is the Galaxy Note8 (yes that's how it is written). And here is the Galaxy S8 to compare it with. You can definitely see that the corners of the Note8, are not rounded completely, but have a hint of a square-chamfered edges. In terms of the general design, the Note8 does have the same Infinity display, but with an almost bezel-less design. The display on the Note8 is much wider too. There are some sensors on the top of the front panel, along with an earpiece, a selfie lens, and an iris scanner. If you look very closely at the Note8 render, you can see the stylus pen port on the bottom right corner. The Bixby button can be seen on the right edge of the frame, while the power and volume rocker buttons are housed on the opposite side. This render does match a previous lea, which we reported about earlier. The Samsung Galaxy Note 8 will be officially announced on August 23, 2017, at a Samsung Galaxy Unpacked event.